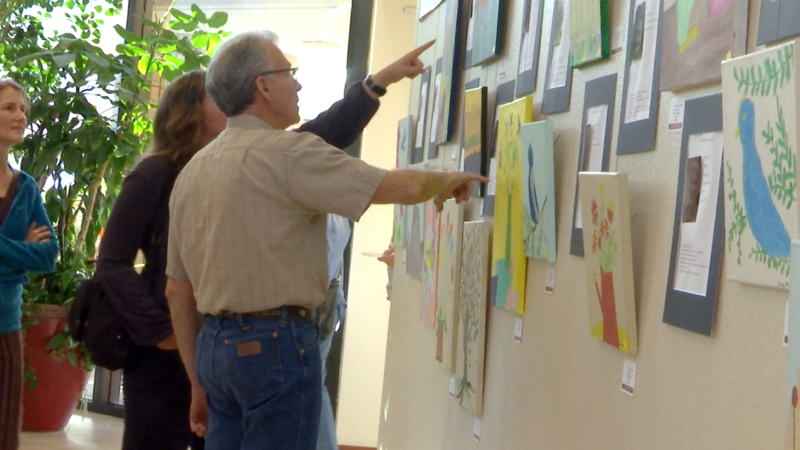 ST. GEORGE —Starting Friday, the Southern Utah Art Guild will feature artists from the Memory Matters Utah/Nevada “Fun Art” program in their show titled “Spring” at the St. George Red Cliff Art Gallery. An opening reception will be held Friday from 4-6 p.m. The public can meet some of the artists and refreshments will be served. The show will run through March 28 at the Red Cliff Art Gallery, located at 220 N. 200 East in St. George. Admission is free. Fun Art is a local program that enriches the lives of people who are struggling with Alzheimer’s disease and dementia. LuAnn Lundquist, Memory Matters Utah/Nevada founder and executive director, said the Fun Art program is organized by Harold Tanner, a respected artist with work hanging in galleries in three states. Tanner said that most of the participating artists have never painted before. For many of Memory Matters’ clients, it is one of the only things that they feel accomplished at in this phase of life. Art is a way of expressing emotion and feelings when the area of the brain that finds words slows down. It is a new way of communicating that produces an object that brings pride and a feeling of achievement to the artist. What: Memory Matters Utah/Nevada’s Fun Art “Spring” show. When: Opening reception Friday, March 8, from 4-6 p.m. Show runs from March 8-28. Where: Red Cliff Art Gallery, located at 220 N. 200 East, St. George (click here for map). Additional information: Visit the gallery’s website.